I didn’t do much on my Project Life last week – I took pictures and collected things, but I was out of town all weekend, so my plan of working on the week’s pages every Saturday was not going to happen. I have everything figured out, just need to print my pictures and slide them in the pockets. 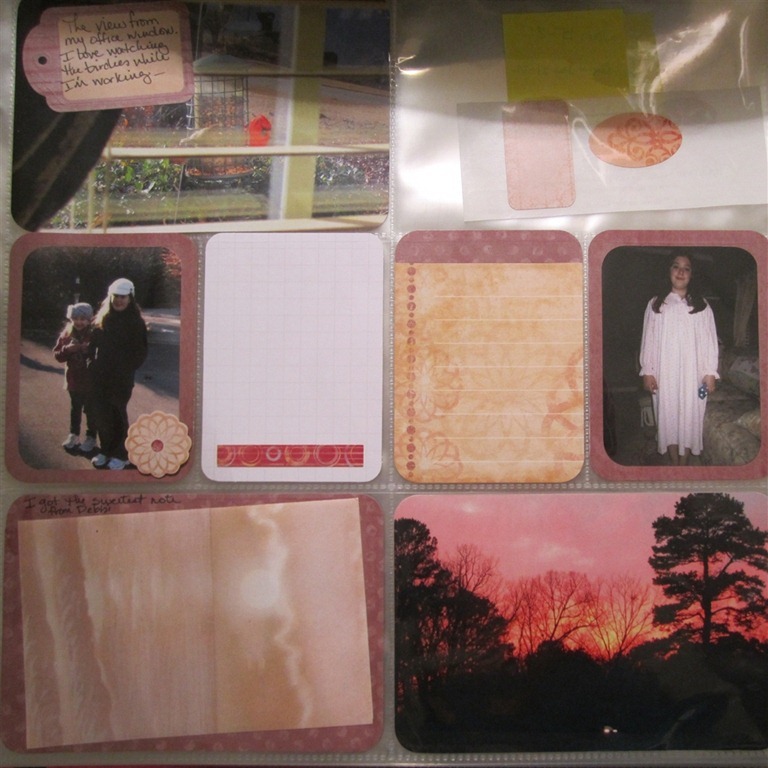 That’s one of the things I love about this type of scrapbooking. Even when I get behind it doesn’t feel overwhelming. I know that I can catch up pretty easily. I’m trying out a journaling program called Oh Life – you can set it up to email you every day to remind you to post a quick entry. You just respond to the email and the entry is logged. Super simple. I’ve done a few entries – some days I have nothing to say – but it helps when I sit down to do my Project Life because I have something to refer back to. I also use my calendar to keep track of happenings – I jot down a few notes and then I also have our schedule there to help jog my memory if I get way behind. That was how I was able to do four months’ worth of catch up in just a weekend not too long ago. I included a New Year’s card from a friend, the church bulletin for the week, and the kids’ report cards in some smaller page protectors. And on the back is Big Girl’s justification as to why we should let her get a kitten for her birthday (not!) It was too cute not to save. 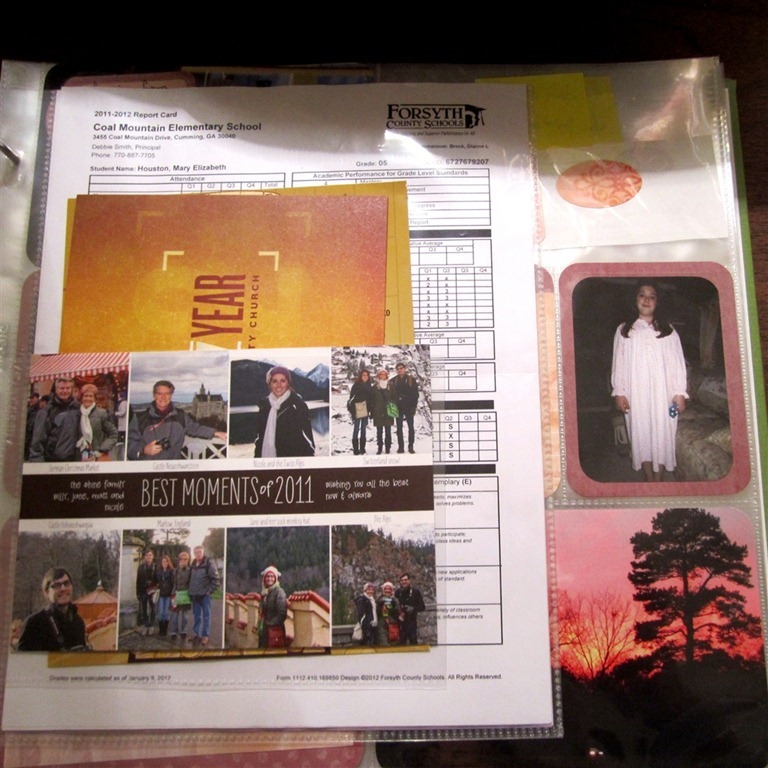 I still have to print Saturday’s picture and put it in there and add the journaling for the second half of the week. The bottom left is a sweet card my friend sent me that I wanted to save. 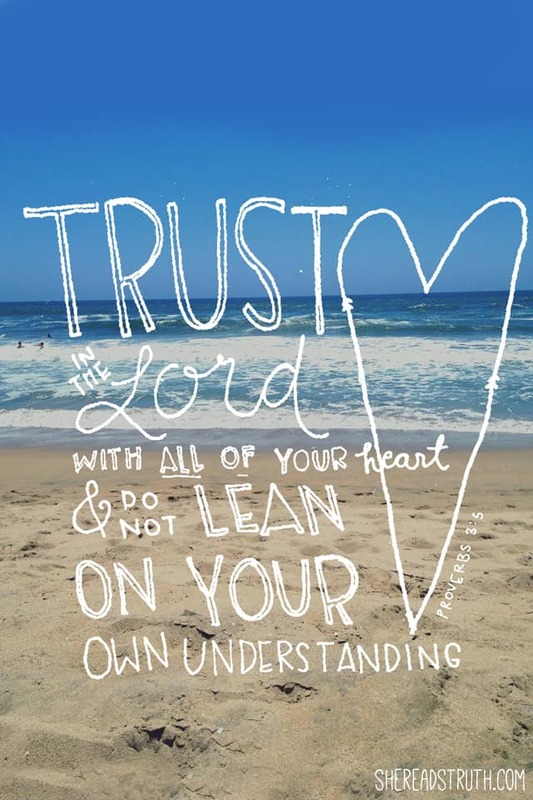 Great week, I love the Pinterest shot – I actually took that one myself today to put into next week. You’ve got a great variety of pictures and I love the letter from your daughter (we got a new kitten this week!). I love the idea of including a church bulletin or a random card you received, great inspiration. I put in my love for pinterest too this week, that’s another sick addiction! LOL Keep Calm and Project Life on! 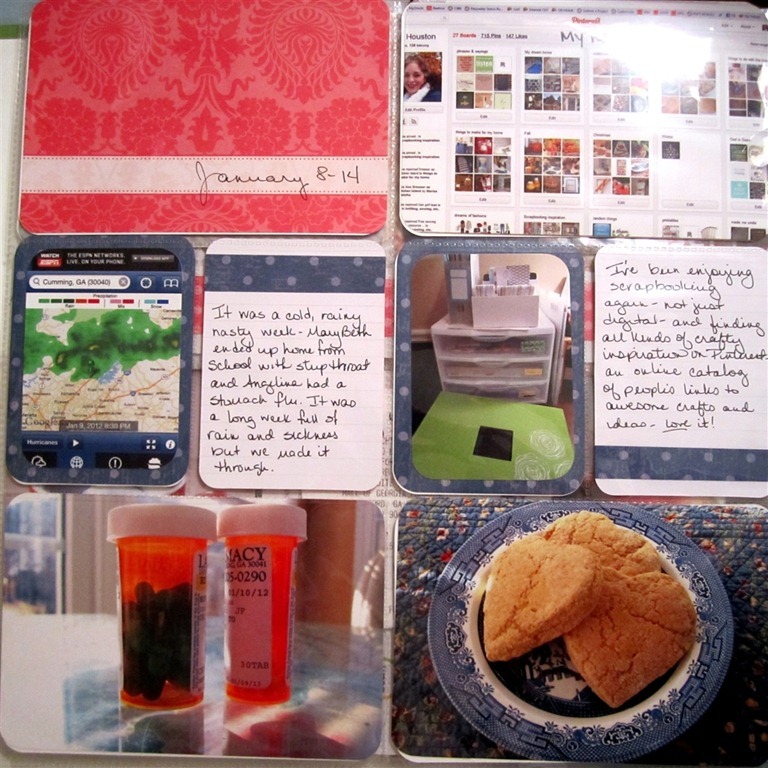 I love the idea of doing a Pinterest screenshot – I am totally going to steal that! I am enjoying pinterest these days too. I know it’s all the rage. I’ve had an account quite a while but am just starting to warm up to it all. Might need to include a pinterest shot this next week. I really love looking at your posts and pins on Project Life. I was wondering if that would be a good (i.e. 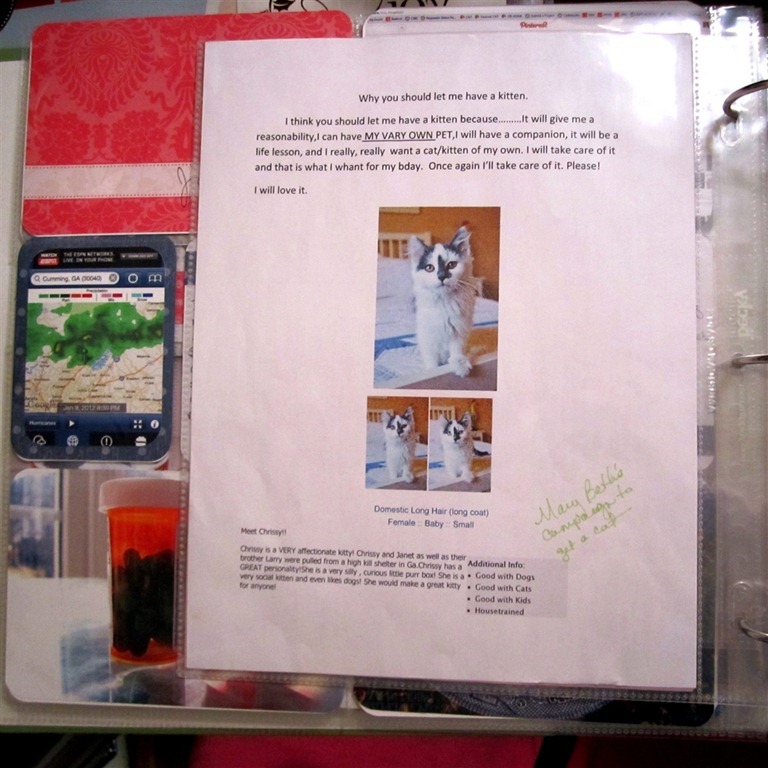 easy) way for me to get back into scrapbooking? I am so behind and have that as a “resolution” this year to start documenting our lives before the boys get any bigger. Any suggestions would be appreciated on how to start again! I would say YES DEFINITELY this is a great way to get back into documenting your family memories!! Check out Becky Higgins’ website for more information – she posted today about getting started – and I would be happy to help you get going if you have questions. I’m on my third year doing this style of scrapbooking and I love it. I do some digital pages, too, but this is my preferred way of scrapping now.